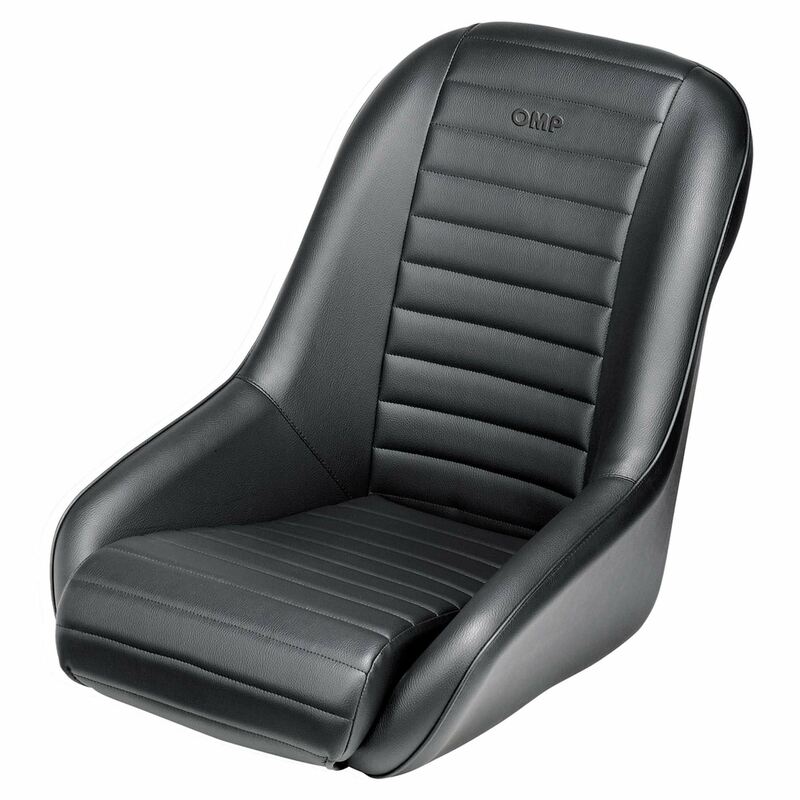 The OMP Silverstone Seat is trimmed in synthetic leather for a classic look. The OMP Silverstone Seat is trimmed in synthetic leather for a classic look and excellent value. The Silverstone seat is manufactured for a low back type construction giving the user up to date seat materials and quality whilst maintaining that 'period' cockpit look. The synthetic leather cover features smooth side bolsters and a ribbed centre back and base cushion, complete with OMP branding. Tubular steel construction ensures the seat is both strong and secure to sit in, without sacrificing heavy weight as the seat weighs 7kg.